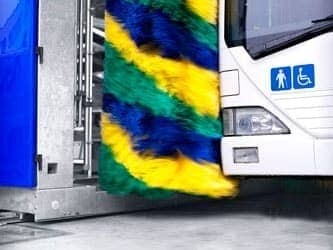 Clean vehicles have become an effective advertising medium for industrial companies, transport companies and omnibus companies. 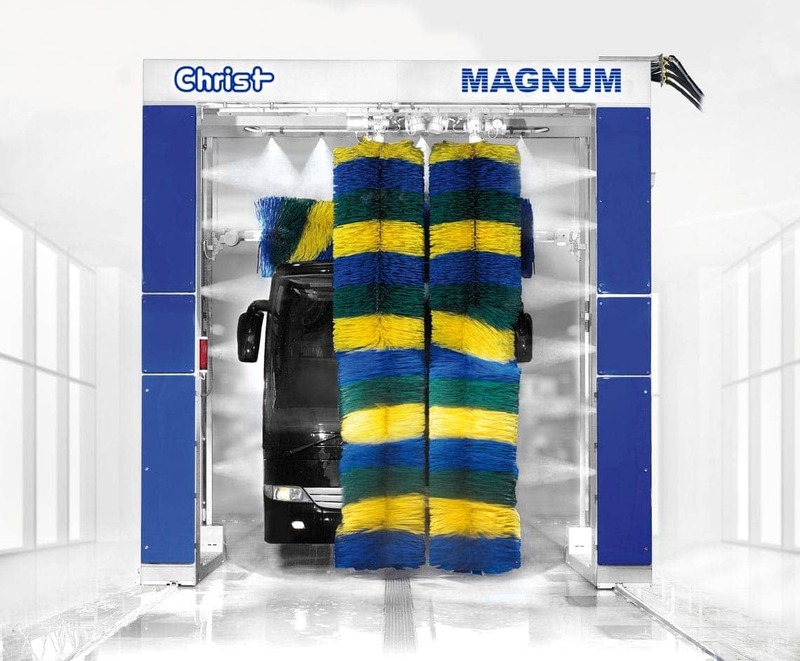 Furthermore, time-saving, automatic cleaning keeps the value of the vehicles. 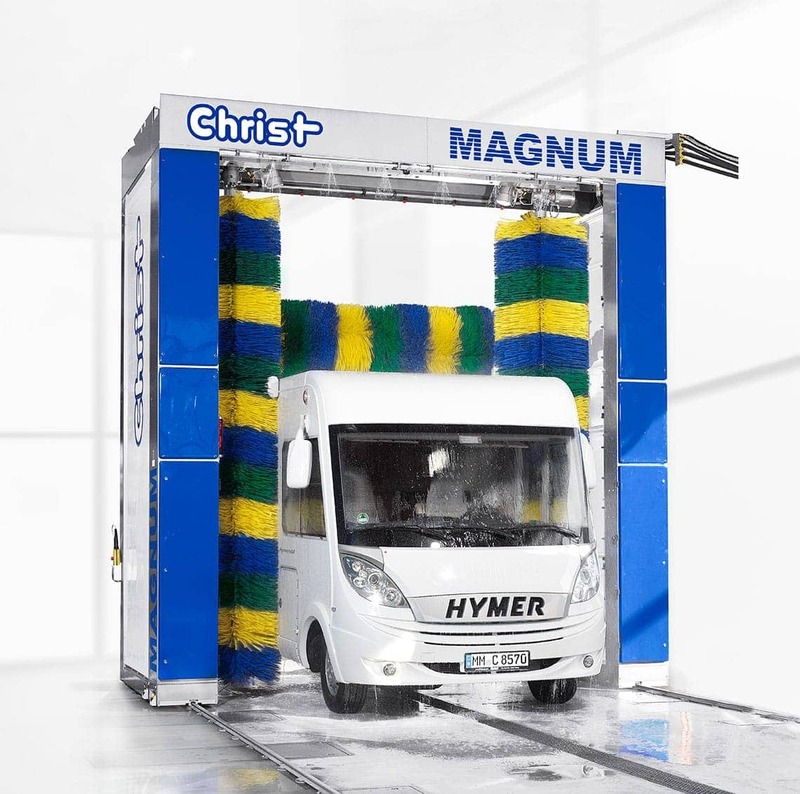 In order to meet the special requirements of your fleet, with our MAGNUM commercial vehicle wash unit, we have designed a system that can be configured to suit any fleet. Our MAGNUM unit type meets all requirements of bus and public transport operators, as well as van and recreational vehicle washing. 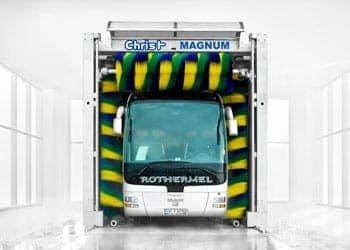 Even trucks can be washed with it. Thanks to this unit type's wide range of accessories, no requirement is left unfulfilled. 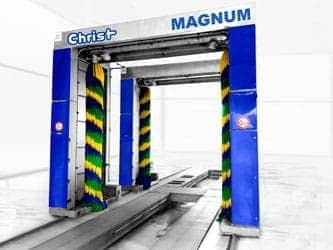 The logically-built machine equipment and the drive units that have been tried and tested thousands of times around the world from Christ are the central pillar of this wash unit design. 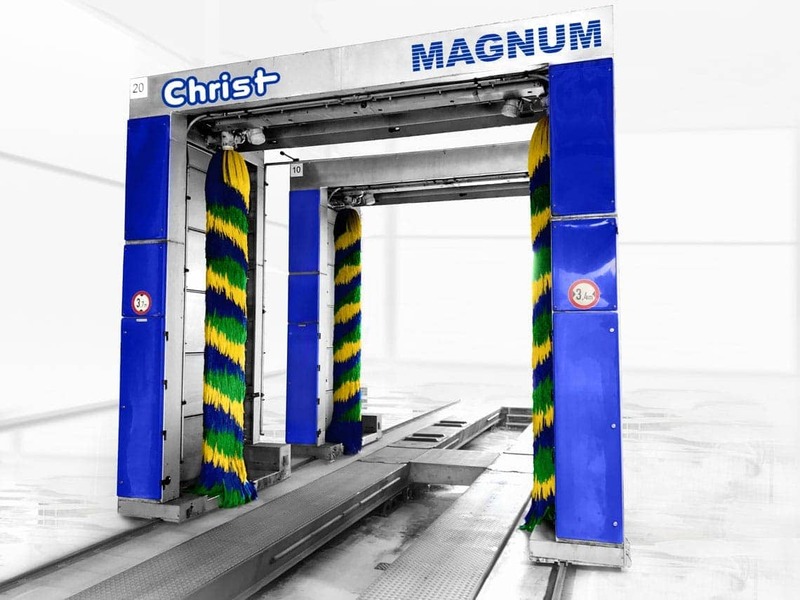 The MAGNUM self-driving, fully-automated commercial vehicle wash unit, with its robust, welded and completely hot dip galvanised steel portal, is designed for a long service life. The wash brushes’ electronic control (PLC) ensures contour following, gentle and effective vehicle washing. 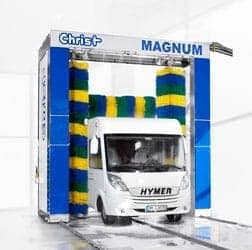 All commercial vehicle wash units in the MAGNUM range are equipped with our low-floor drive unit as standard. This means that even low-floor buses that can lower can be washed using the lateral brushes. The distance between the bottom edge of the rotating lateral brush and the floor level is just 175 mm. 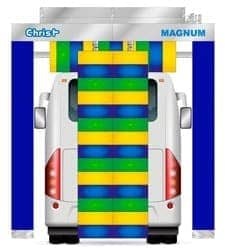 Thanks to the modular system, sensible machine accessories can be added to the MAGNUM for the wash system's specific application. 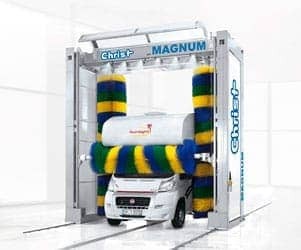 The commercial vehicle wash unit that is equipped with 3 wash brushes as standard can also be provided as a 2-brush version on request (version without horizontal brush). 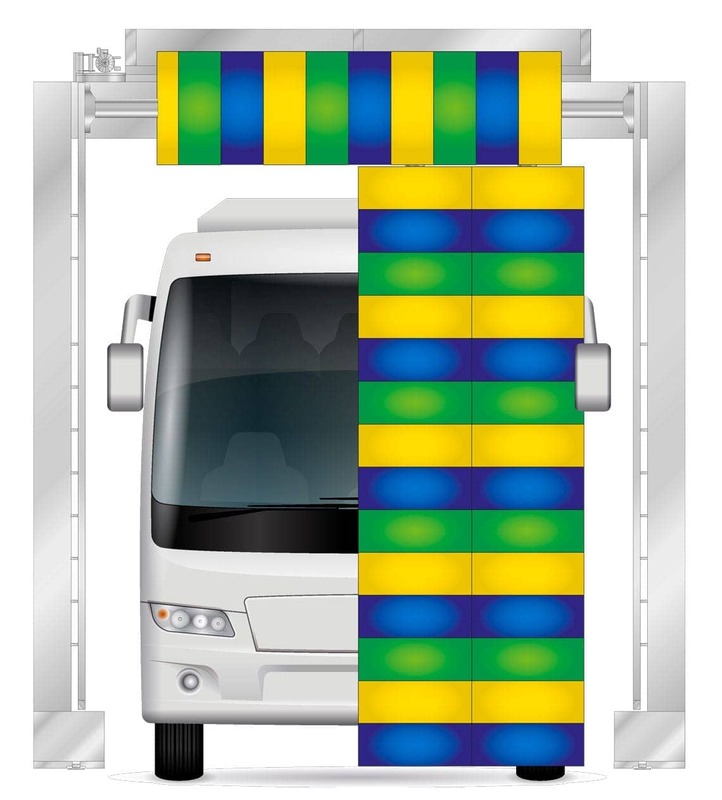 During the front wash, the lateral brushes wash between the protruding bus mirrors and reroute these when changing over to the lateral surface wash (mirror damage is avoided). The outside mirrors do not have to be removed or folded in. 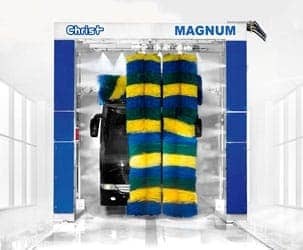 • The wash area at the front is fully covered between the mirrors. 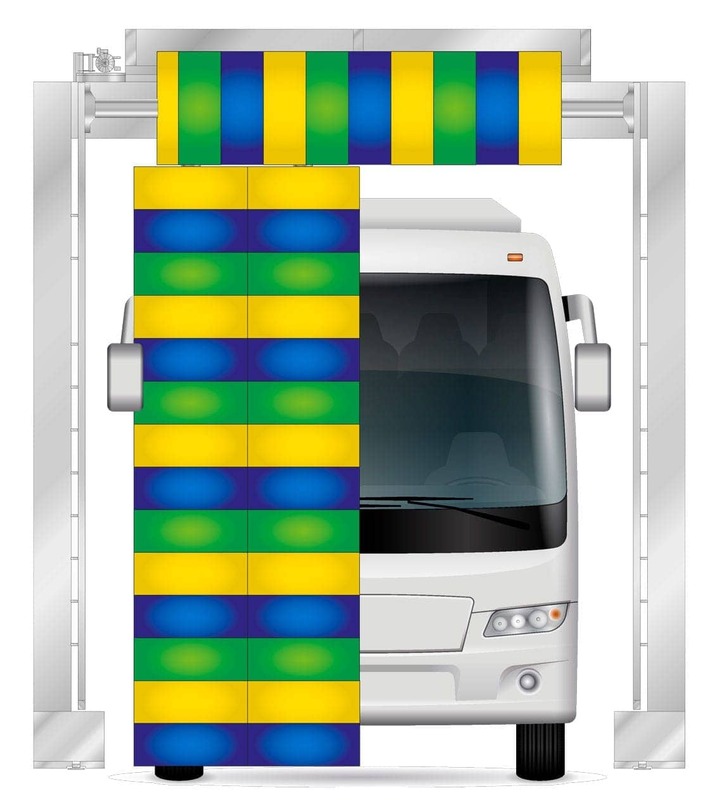 Accurate lateral brush guidance means that complicated vehicle contours are no longer a problem. 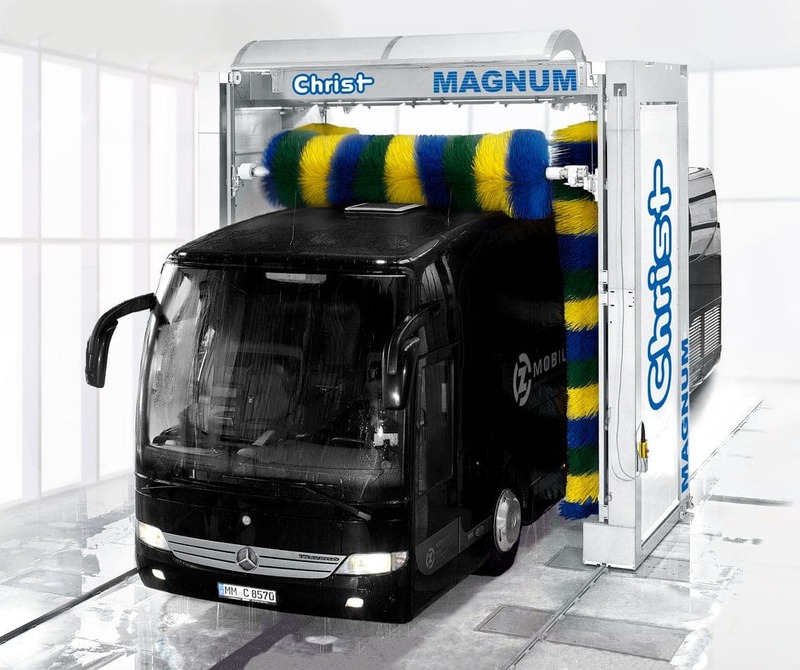 Even fixed mirrors such as on coaches are not a problem thanks to the gimbal-mounted brush bearings. 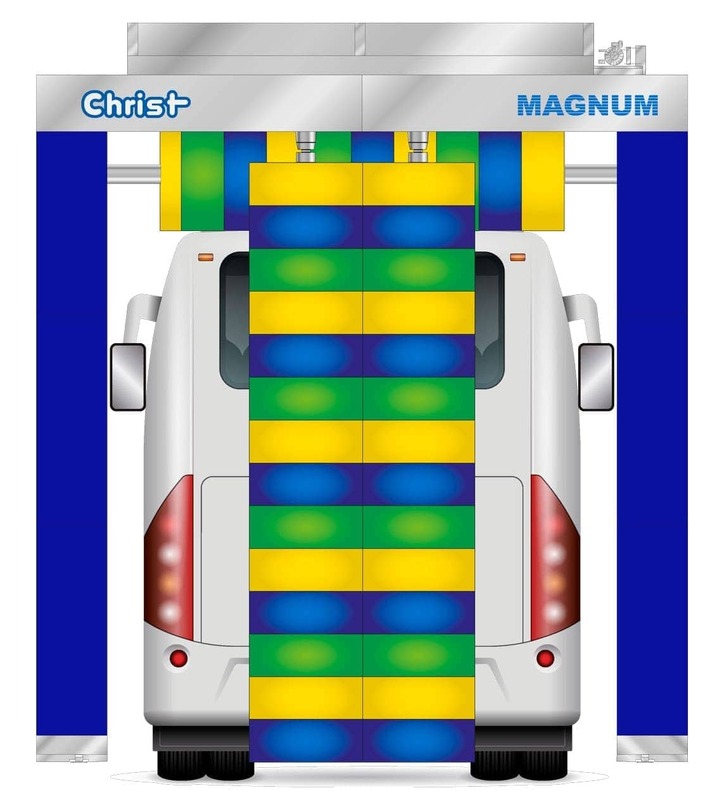 The alcove program is a sensible part of the MAGNUM wash system’s program range, which was designed especially for recreational vehicles and caravans. The alcoves are washed gently in conjunction with the SENSOFIL+ gentle washing material. 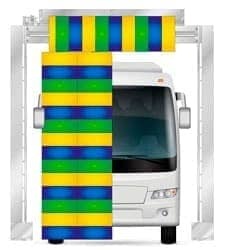 Optimum equipment is provided in conjunction with a manual pre-wash device for vehicle areas that are difficult to access. 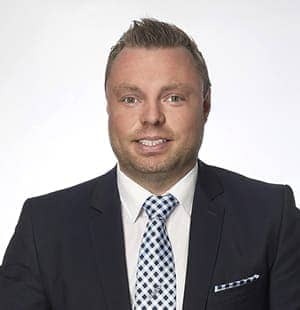 Commercial vehicle wash unit professionals in the recreational vehicle and caravan exterior cleaning sector extend their offering with manual pre-treatment of "rain stripes" that form over time on parked recreational vehicles and caravans. 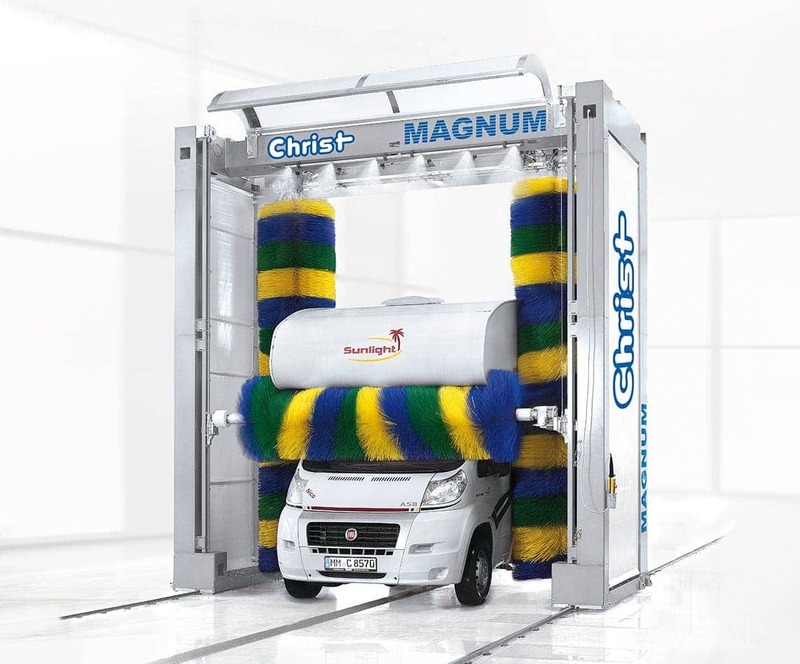 Two MAGNUM installations in sequence form the TANDEM cleaning units, which is especially suitable for operations with high washing volumes. This design enables a washing process that is twice as fast.